Gwyneth Paltrow is acting as a life coach to her close friend Cameron Diaz and has advised her to not get distracted by men and focus on herself this year. 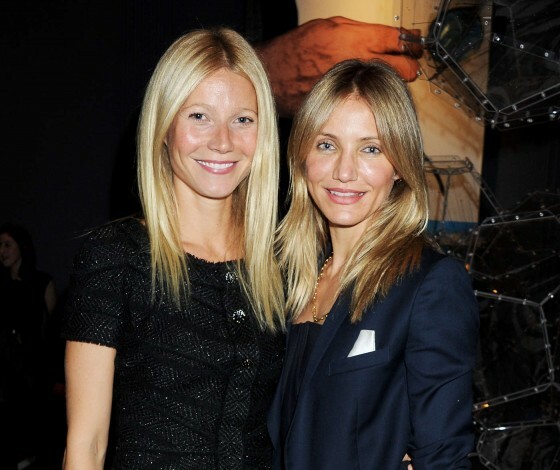 Gwyneth Paltrow is acting as Cameron Diaz's life coach. The 'Iron Man' actress is helping her friend - who turned 40 last August - make some major decisions and has advised her to give up men because Cameron's romantic liaisons ''distract'' her. The two friends have been spotted out together regularly in the past year - after having became close after the death of Gwyneth's TV producer father Bruce Paltrow in October 2002 - and Gwyneth, 40, previously hoped to find the perfect man for her bubbly pal. The fun friends also gatecrashed a wedding show last year at the Sir Christopher Wren Hotel in Windsor, Southern England, while the blonde beauty was visiting the UK to promote her film 'The Counselor'.